All the conditions are right this 2017-18 winter for another Snowy Owl irruption in which many of these birds will leave Arctic Canada and take a winter vacation in the United States. That’s according to a recent report by Project Snowstorm, a Snowy research and monitoring organization in Canada. Basically, the lemming population is surging in Canada, as it does about every four years. 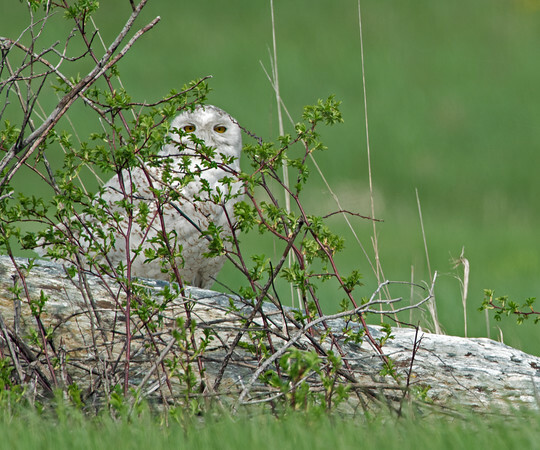 This plentiful source of rodents results in nesting Snowies producing more surviving owlets than there are hunting territories available for the youngsters up there. The homeless birds come south and the first stop for many of them is Maine.